The motion sensor in this unit triggers a bright, focused beam of light. It is easy to install almost anywhere, and it easily detaches from its mounting plate to serve as a handheld light. Outdoors, it lights pathways, stairs, decks, patios, driveways, sheds, and signage. 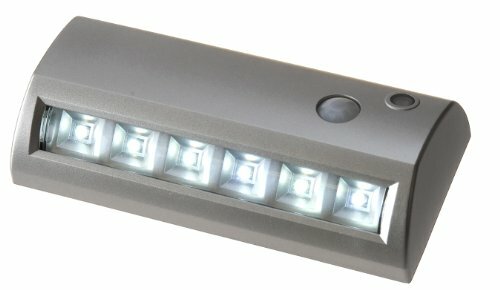 Indoors, it illuminates hallways, closets, and storage areas. If you have any questions about this product by LIGHT IT! by Fulcrum, contact us by completing and submitting the form below. If you are looking for a specif part number, please include it with your message.